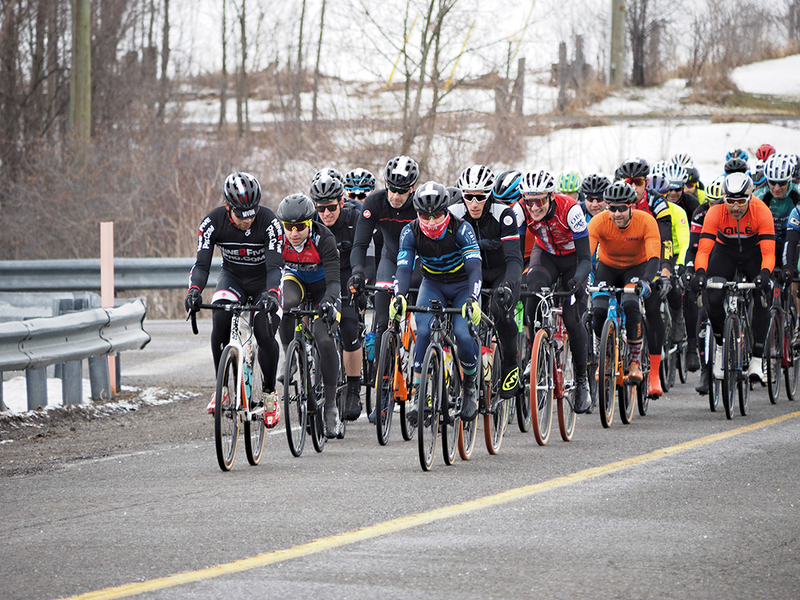 The 77 kilometre "Competitive" event on April 7th saw 110 riders (90 men, 20 women) battling it out for the win and the Gravel Cup series lead. 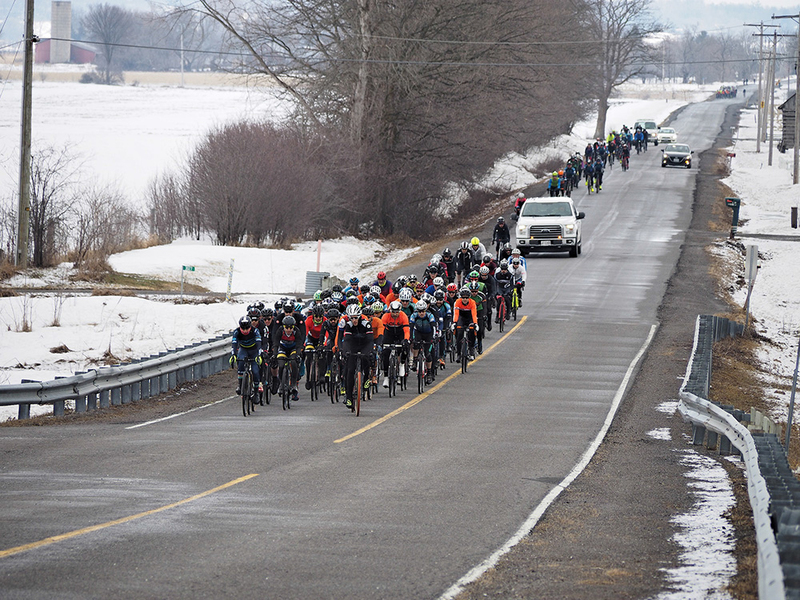 An early breakaway formed with Derek Gee (Team RaceClean) and Jeremie La Grenade (Ride with Rendall). They worked well together maintaining a minute over the reduced peloton until Gee rode away and soloed the last 20 kilometres to finish two minutes ahead of the field for the win. After a tiring La Grenade was caught 16 riders roared into KIN Vineyards in a bunch sprint won by Derrick St. John (Trek Hyperthreads) with Osmond Bakker (nine2fivepro) rounding out the mens podium. There was over 60 participants in the 45km "Sport" route. They were led by Alain Villeneuve (nine2fivepro), who was so instrumental in making this series happen. A special mention to Matt Large and his Strokers team for agreeing beforehand and during the event to ride with some participants who didn't want to ride alone. Simply amazing! At the next four events the "Sport" group will receive timing chips and bib numbers, but the event will still be in the non-competitive spirit. 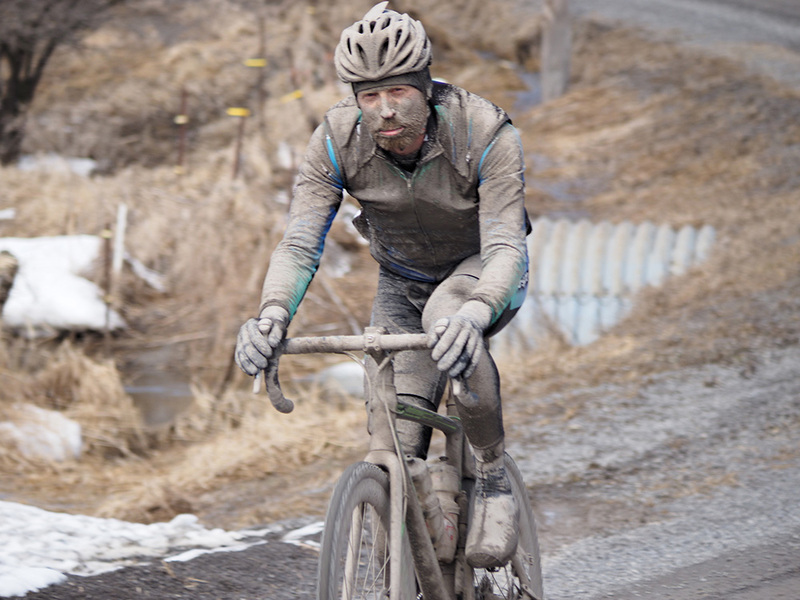 We can't emphasize enough that these events are primarily for the non-competitive riders regardless of the course. The women's event was won by Natasha Elliott (Trek Hyperthreads) followed by Emilie Fortin (Peak Centre) and Heather Gray. A moment of humour occurred on the women's podium when the champagne bottle exploded before it was handed to Natasha, but the women joined forces shaking the bottle and successfully making a go of it. Also, a special mention for Emily Lafleche (euro-sports) who flew all the way from Texas to take part. The day had many memorable moments and features. There was Kevin Voekler dressed in a monkey onesie manning the feedzone, my wife's chocolate peanut butter balls and one bit muffins that were gobbled up in minutes. The volunteers were simply amazing. Everything ran like clockwork especially the registration. Jake, Dom, Pat, Sara, Amelie, Gavin and Vicki looked like this was the 1000th time they'd done it. Thanks to Alan at KIN Vineyards who was such a great partner to work with. Thanks to Chris Olson, who had the best job of the day, following the lead competitive peloton and shuttling the winner's father, John Gee, around. It was a party atmosphere in Chris's pickup. I think they're all caravan addicts now! Next time I'm putting a livecam in the lead following vehicle. 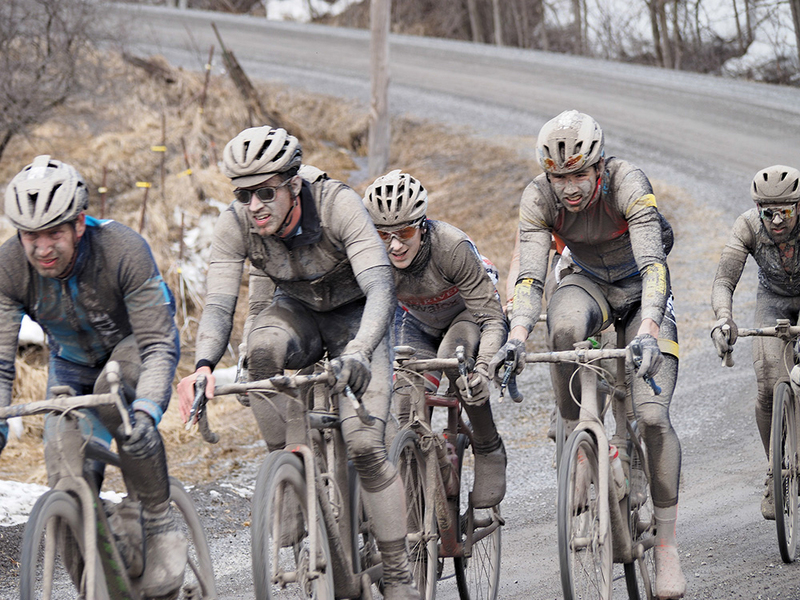 Next up is the Wheelers Maple Lanark Liege, the unofficial Canadian National Gravel Championships. In addition to the National Championship Jerseys, the Series yellow leader's jerseys will be presented at the start. Derek Gee will be at a track event in Trinidad, so that means that Derrick St. John and Natasha Elliott (Trek Hyperthreads) will be wearing the leader's jerseys on June 1st. 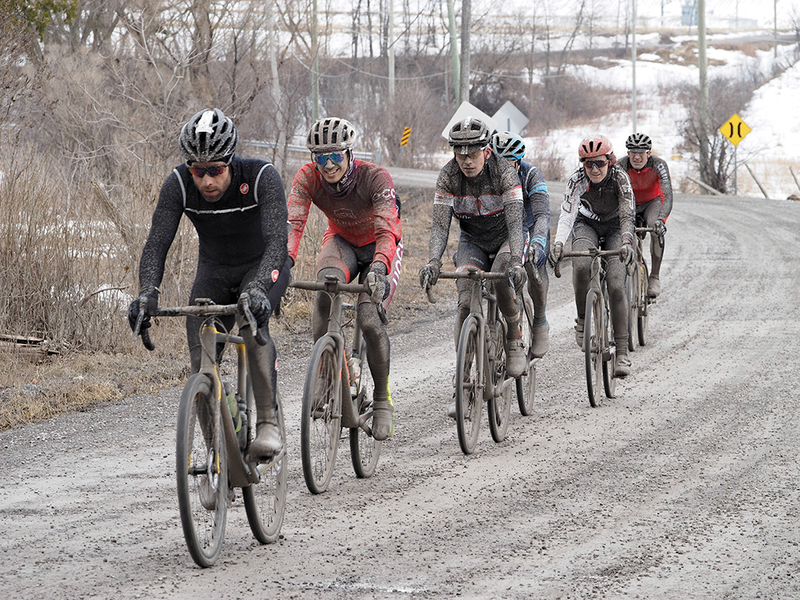 I hope to see you all there at Canada's first unofficial National Gravel Cycling Championships, where Lanark's amazing single lane treed gravel roads await.